Peru is a nation that features some of the most amazing natural and man-made wonders in the world. Of the natural wonders, the country features the amazing Andes Mountains range while in man-made wonders, the country features Machu Picchu which is one of the New Seven Wonders of the World. The wonders of Peru do not stop there, their cuisine is also interesting and unique to their culture. Considered to be the national dish of the country and consumed by almost everyone in Peru, the ceviche occupies a special place in most Peruvians hearts. Peru is considered to be a hub of delicious cuisine in South America and globally with some of its natural produce being popular all over the globe. Understanding the cultural evolution of the ceviche shows just how much this dish represents Peru. Like most other Peruvian dishes that are centered on seafood, the Peruvian ceviche or cebiche refers to a dish that consists of a raw fish salad. The salad is combined with seasoning, garlic, hot Peruvian peppers and soaked in lime. The raw fish is slightly cooked by the citrus juice in the lime giving it a slight delicate flavor that enhances the eating experience. Bitter orange also known as naranja agria can also be used to prepare the fish salad. However, the Peruvian ceviche does not necessarily use fish and can use other ingredients using the same preparation methods. The Peruvian ceviche is the most popular dish in Peru with most restaurants offering diverse recipes across the country. Mixed seafood ceviche: This recipe typically has a variety of fish included rather than a singular type of fish in the salad. Black oyster ceviche: This recipe uses black oysters as the seafood for the salad and is especially loved in the north of Peru. Trout ceviche: This recipe uses trout and is largely consumed in the Andes due to the proximity to the fresh water bodies in the mountains. Tollo: This ceviche recipe basically uses shark meat to create the salad making it one of the most unique forms of ceviche in the world. What makes Peruvian Ceviche unique? The ceviche is distinct in that it is the national dish of the country and is considered to be part of the national heritage of the country. It is be an obvious conclusion that they are indeed the best at creating the delicious dish. While it has been adopted in many South American countries as well as being replicated in foreign markets, the Peruvian ceviches are recognized as the most delicious variations in the food industry. One thing that makes the ceviche stand out from the rest is the type of citrus used where Peruvians use the limon sutil which a lime variety that is unique in size and taste as well as having a slightly high acidic content. This feature is important as it affects how the fish cooks when marinated in the lime juice. Another unique feature is the pepper also known as aji that are used in the salad. Peruvian ceviches can contain the aji Amarillo or aji limo which are quite hot peppers. The unique use of Peruvian ingredients make the ceviche one of the most delicious dishes that you are likely to encounter from South American cuisine. While some variations of the ceviche serves it as a soup, the Peruvian ceviche is made to be a salad. Being a national dish with a national holiday, the ceviche has its own singular history in Peru. Traditionally, the fish is cured in the acidic juice for several hours taking on the flavor of the limes. However, the process has evolved to a much shorter period of margination so that the fish only has delicate notes of lime through it. In addition, the dish was often served with boiled corn, sweet potato (camote), lettuce and corn nuts that further enhanced the delicious flavor of the fish. This is a presentation that is distinct to the Peruvian culture. The liquid used to prepare the fish is sometimes served as a drink called the tiger’s milk which is another unique aspect of serving the Peruvian ceviche. Does the ceviche have health benefits? Aside from being a delicious and beautiful dish, the ceviche actually has some health benefits that increase its appeal as a national dish. First, the dish is low in calories. It is a common fact that fish is very low in calories yet high in protein. The fact that the fish and seafood is actually cured makes it pure and healthy for any individual. In addition, the juices used to soak the fish contain high levels of citrus and vitamins that are healthy for the human body. The entire dish features no added sugars or fats making it very healthy to eat. The Peruvian ceviche is a delicious, culturally significant and healthy food. For any visitors to Peru, ensure that you have some ceviche to further immerse yourself in this culture. 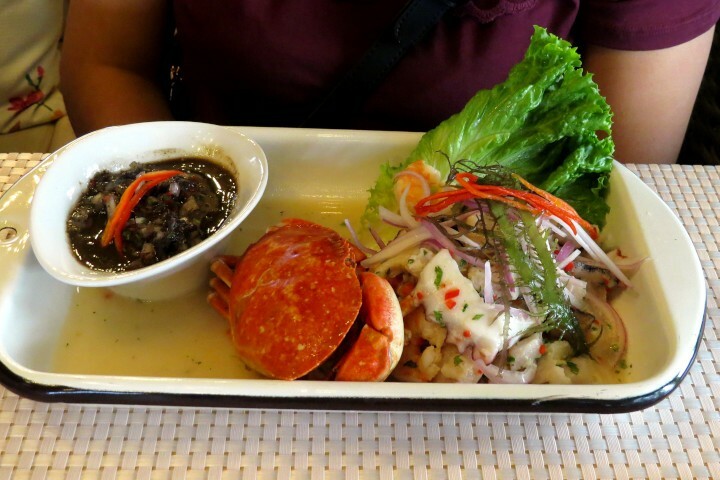 It is known that no ceviche can compete with the Peruvian version!